The Society for Judgment and Decision Making (SJDM) invites abstracts for oral presentations and posters on any interesting topic related to judgment and decision making. Completed manuscripts are not required (i.e., it’s non archival). SJDM’s annual conference will be held in Vancouver, British Columbia, November 10-13, 2017. 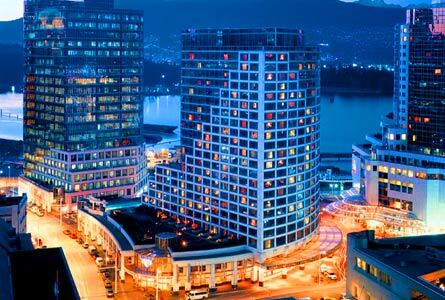 The conference will take place at the Fairmont Waterfront Hotel. Plenary events will include a keynote talk on Sunday, November 12 delivered by Robert Cialdini and Richard Thaler. The deadline for submissions is Monday, June 19, 2017, end of the day. Submissions for oral presentations, and posters should be made through the SJDM website at http://www.sjdm.org/abstract-review/htdocs Technical questions can be addressed to the webmaster, Jon Baron, at webmaster@sjdm.org. All other questions can be addressed to the program chair, Suzanne Shu, at suzanne.shu@anderson.ucla.edu. At least one author of each presentation must be a member of SJDM, by one week after the deadline for submission (to allow time for dues paid by mail). You may join SJDM at http://www.sjdm.org/join.html. An individual may give only one talk and present only one poster, but may be a co-author on multiple talks and/or posters. Please note that both the membership rule and the one-talk/one-poster rule will be strictly enforced. Travelers from certain countries may need extra lead time to obtain travel documents. Although we are unable to accept talks early, we can provide notification of an “accepted presentation.” This means that you would at least be guaranteed a poster. We can do this because posters are typically evaluated only for content and most are accepted. To take advantage of this option, you should still submit through the regular process, make sure to indicate that you are willing to present a poster, and also send a request to the program chair, Suzanne Shu, at suzanne.shu@anderson.ucla.edu. The Hillel Einhorn New Investigator Award is intended to encourage outstanding work by new researchers. Applications are due June 19, 2017. Further details are available at http://www.sjdm.org/awards/einhorn.html. Questions can be directed to Gretchen Chapman, gretchen.chapman@rutgers.edu. The Jane Beattie Memorial Fund subsidizes travel to North America for a foreign scholar in pursuits related to judgment and decision research, including attendance at the annual SJDM meeting. Further details will be available at http://www.sjdm.org/awards/beattie.html. SJDM Conference, Vancouver, Nov 10-13, 2017 was written on May 11, 2017 and filed in Conferences,SJDM,SJDM-Conferences.